Then you must check out our dedicated tutorial page for more information as well as how to download it. Remember, only available for registered X-Plained.Com simmers! We’re pleased to offer you, on behalf of Marc Leydecker aka Belga12345, his remodelled, renewed, refreshing Saitek FIP (Flight Instrument Panel(s). At X-Plained we’re exited about what Marc did. Yes, we all know Marc from his gorgeous airports, and once and a while from his extraordinary paintings (aircraft liveries), but this area is new to Marc although after many … many hours spend with it, Marc can call himself an expert to Saitek FIPs. What is the whole idea and what did Marc? For those simmers who own one or more Saitek FIP(s), there’s good … oh no, great news. Marc didn’t like the different instrument images on the FIP(s). He found them, let’s be honest, ugly and from that moment on, he started to create his own FIP instruments. Not one as an example what’s possible, not two, but 21 different instruments and all, of course, functional. So how does this work? Don’t do anything yet, but open the Belga12345 installation manual first. It’s not long, but very useful and important too since it tells you where to get something from and how to arrange the FIP gauges and screens. Curious? Then you must check out Belga12345 his dedicated Saitek FIP page including the download link on how you can arrange that for your FIPs. But remember, only for registered members only! 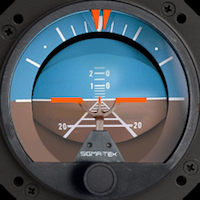 At X-Plained.com we’re pleased to offer you part 2 of Marc Leydecker (Belga12345) his Saitek FIP (Flight Instrument Panel) adventure. You can download, only for registered X-Plained members, tutorial part 2, right here. As mentioned before in this post and in previous related Saitek FIP posts from Marc, part 2 deals with the instrument and how to handle all the individual parts, but there’s more to come … the programming! Fro now … enjoy this tutorial! 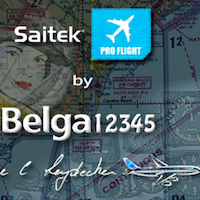 Not on approach, not on final, it has landed … Belga12345 “Saitek FIP” tutorial. Recently we published an article about Saitek FIP. For those who aren’t familiar with Saitek FIP; a FIP (Flight Instrument Panel) is a colorful 3.5-inch LCD screen that seamlessly integrates into flight sim software. The FIP automatically updates and reacts to software events, giving you accurate, real-time access to important flight and aircraft information. And much faster then expected; the tutorial. You can grab your copy via this download link, but remember, you need to be a registered user to have access to our download section. 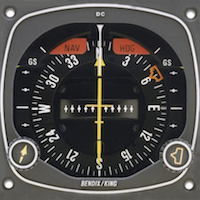 This tutorial covers the basics (graphics wise) on how to create a gauge or aircraft instrument although geared for the Saitek FIP, the theory is identical for creating X-Plane cockpit instruments. Marc’s tutorial has additional screenshots of today’s creations and although I’m not technical, it’s, as usual, clearly written and explained by Marc. And suppose, I can hardly imagine, you don’t understand something, feel free to contact us via info@x-plained.com. What the heck is this for tutorial .. creating sand/construction mountains on airports, of course, if applicable for you. Even when you know how to do it, perhaps this tutorial will offer you an easier way to create them. Whatever is applicable to you, we’re pleased to offer you this short but effective tutorial, written by Marc Leydecker a.k.a. Belga123245. Creating these airport “sand/construction” mountains, finding them in all different shapes, different look and feel of material, isn’t as easy as you think unless, you know how to do it. 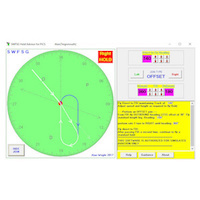 And because of this, Marc Leydecker, known from his fabulous high quality Virginia airports, has been written a tutorial for our registered users. 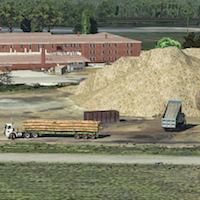 And, as always from Marc, a short, but effective tutorial based on those who love to create X-PLane 10 airports who use SketchUp as their primary 3D tool. Check out this dedicated “sand/construction mountains” tutorial. Although the vFlyteAir Grumman American Traveler can be flown easy under VFR conditions, flying IFR with the AP gives you a lot more time to look outside, making longer flights and try to keep it a little more relaxing. On today’s flight I depart from KBFI (Boeing Field) and via the following VOR/DME stations, I end up in Vancouver. The short flight plan is as follows: PAINE (110.60) – PENN COVE (117.20) – VICTORIA (113.70) – VANCOUVER (115.90) we’re approaching Vancouver International Airport (CYVR). 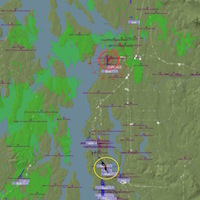 I used for this flight VOR beacons with preferable DME information. And so on ……. So let’s go for a typical IFR flight and see how it works. Curious? Check it out at X-Plained.